With over a decade of experience serving the cut- and puncture-safety market, HexArmor’s team of safety advisors worked closely with their customers to garner their input in order to give them the protection they deserve. As a result, HexArmor has redefined safety by developing unique safety products that meet the specific needs of their customers. 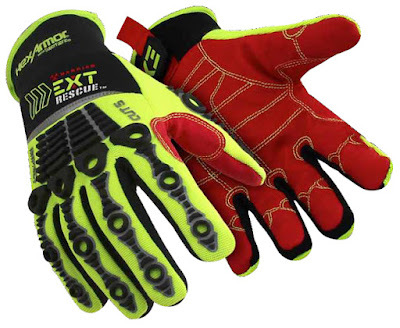 The HexArmor EXT Rescue Barrier 4014 Gloves were purpose-built to be the safest glove available for first responders. Additionally, the HexArmor EXT Rescue® Barrier 4014 Extrication Gloves are machine-washable and are available in a variety of sizes, ranging from Small to 2X-Large. For more information and to order yours, visit TheFireStore.com.